How can LOCSU help journalists? We have a range of spokespeople based in London and across England, who are often clinicians and can provide expert comment on any aspect of community pathways and local community optometry services. 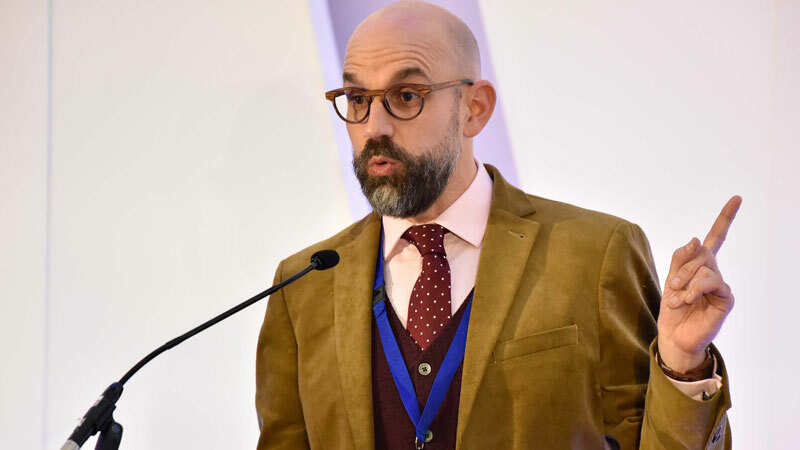 Richard Whittington explains to an influential NHS audience how optical professionals have a passion to be recognised as front-line health experts and how local optical practices can play a significant role providing patient-centred, preventative health. Tim Bagot, from Cumbria LOC, was interviewed on the merits of a local MEC Services by regional ITV News in the Borders. 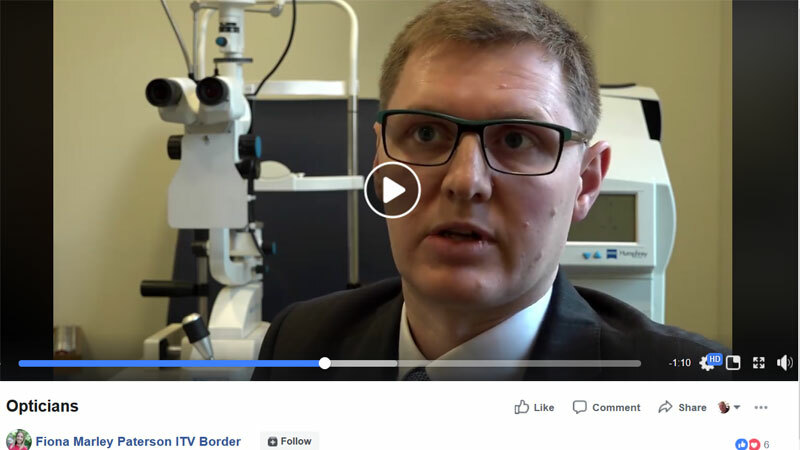 Peter Rockett, Chair of Wolverhampton CCG and a Director of former Heart of West Midlands Primary Eyecare Company, was featured on the CCG YouTube channel recently promoting the benefits of a Minor Eye Conditions Service. 80% of those seen have been treated in the optical practice freeing up GP and A&E visits. 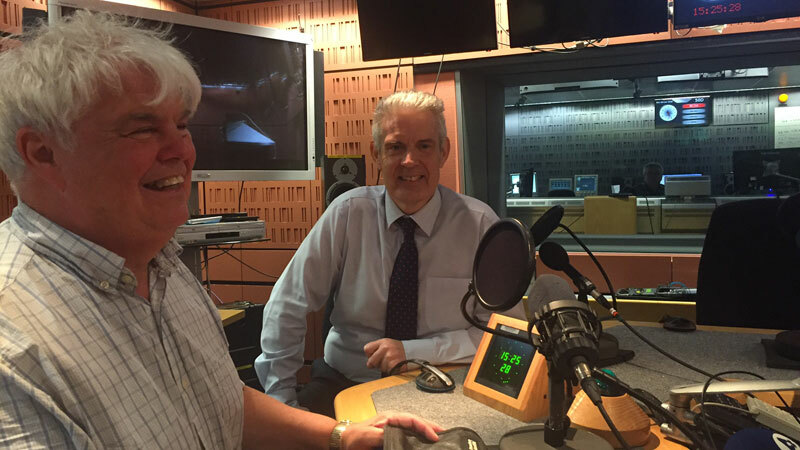 In Touch is Radio 4’s flagship programme for blind and partially-sighted people. 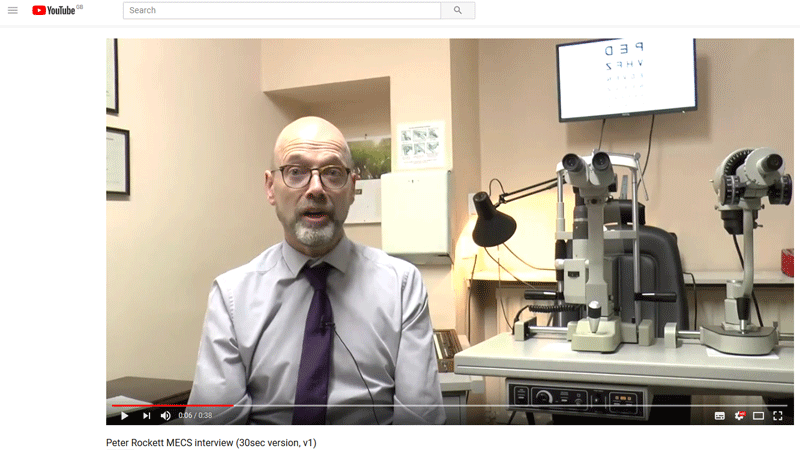 Presenter, Peter White, interviews LOCSU Head of Communicatons, Chris McGachy, about the role of community optometry in monitoring routine and low-risk patients to ease pressures in ophthalmology services. Interview start 10 minutes into broadcast. 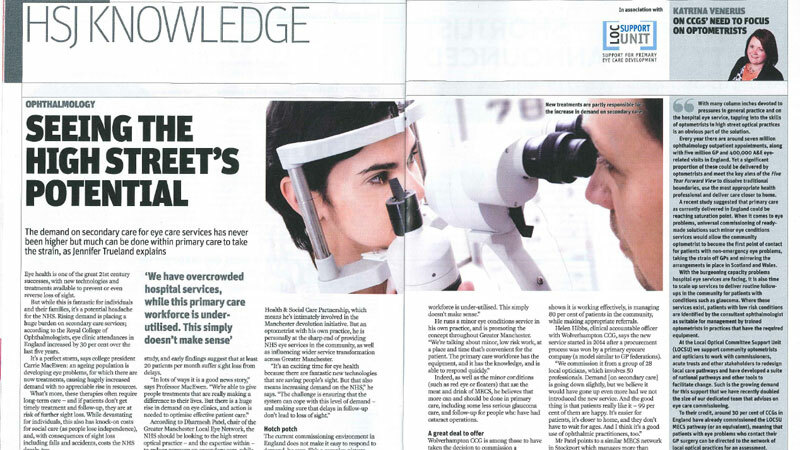 This HSJ Knowledge feature on on opthalmology looks at the potential of the high-street optical practices to take pressure off of secondary care eye services. It includes a column from LOCSU Managing Director, Katrina Venerus, urging CCGs to focus on the how optometrists could carry out low-risk and routine monitoring to ease pressures in the hospital eye services. LOCSU also makes the case among wider eye health professionals for the role optical practices can make in redesigning pathways to take pressure off of the hospital eye service and deliver care closer to patients. 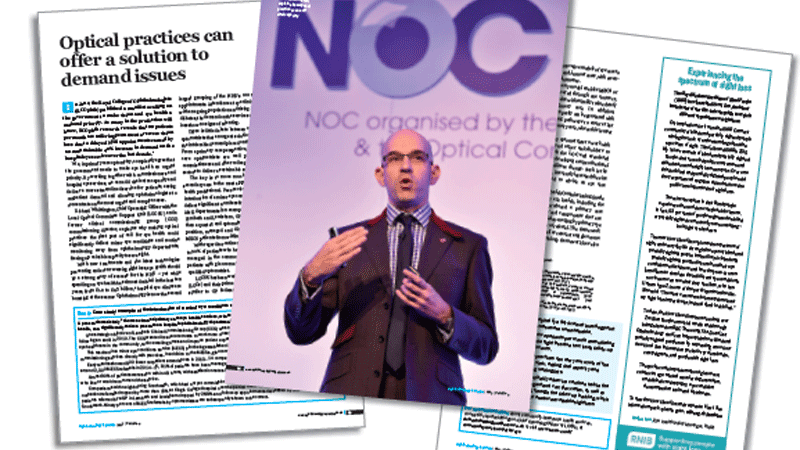 Read the article in Ophthalmology in Practice magazine. The Dementia initiative which was the winner of the 2017 NOC Poster Competition has featured in the April 2018 edition of Optometry Today. Claire Roberts, Chair of the Local Eye Health Network in the West Midlands is pictured receiving the award for the poster, which highlighted the innovative project to ensure dementia patients don’t miss out on daily activities because of a simple sight test or new glasses. The project was aimed at both optometrists and dementia carers.